The pieces I'm most pleased with are two beautiful trinket dishes. They were down to £2 each in the clearance section and as I couldn't decide which one to get, I bought both. The prettiest item I bought was a £5 lantern made out of copper wire bent into a geometric prism. It's not very bright as the lights inside the 'bulb' are little warm-white fairy lights and not filament lights, but it looks so cute on my bedside table in the evenings. I also bought two other items that aren't pictured (for various reasons.) The first is a super soft grey memory foam bath mat with 'Gorgeous' embroidered into it for just £6. It's so squishy and I was hoping to use it as a mat in my doorway, however it's so plush that the door can't shut over it! So I may let my mum put it in the bathroom instead so as not to go to waste. The last item I bought is a little more practical. 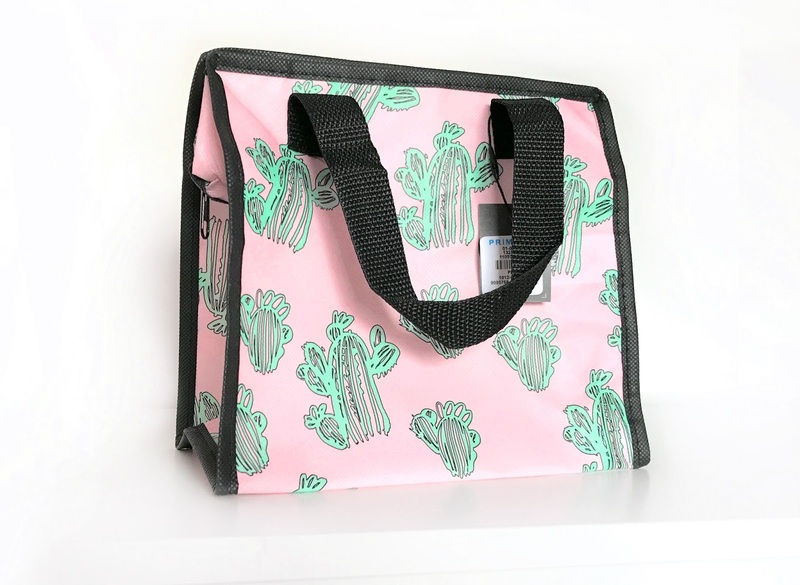 For just a quid I got a baby pink cactus-print mini storage bag which I was going to use to take my lunch to work in, but I feel it's just too cute for that purpose now! Instead I'm going to use it as a beach bag when I go on holiday later this year as its the perfect size to keep my purse, sunglasses and sun cream in. 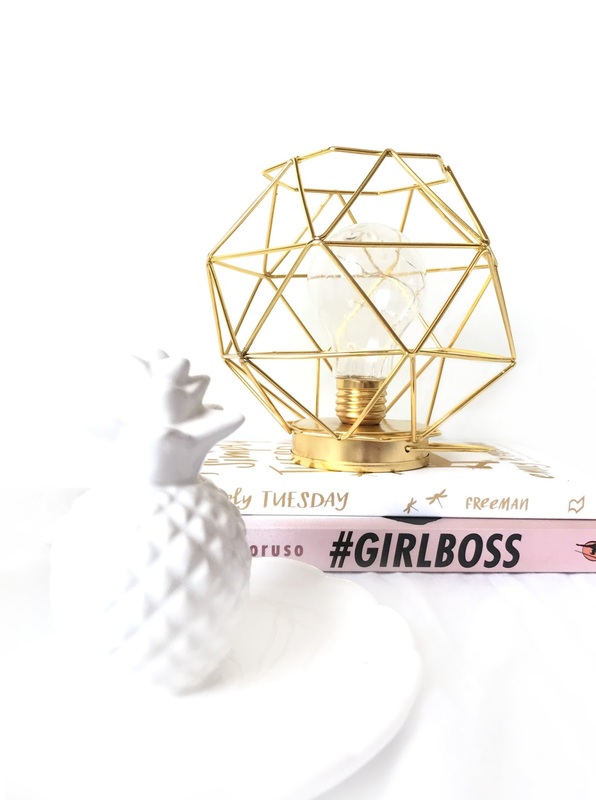 Do you love Primark homeware? What goodies have you picked up recently? 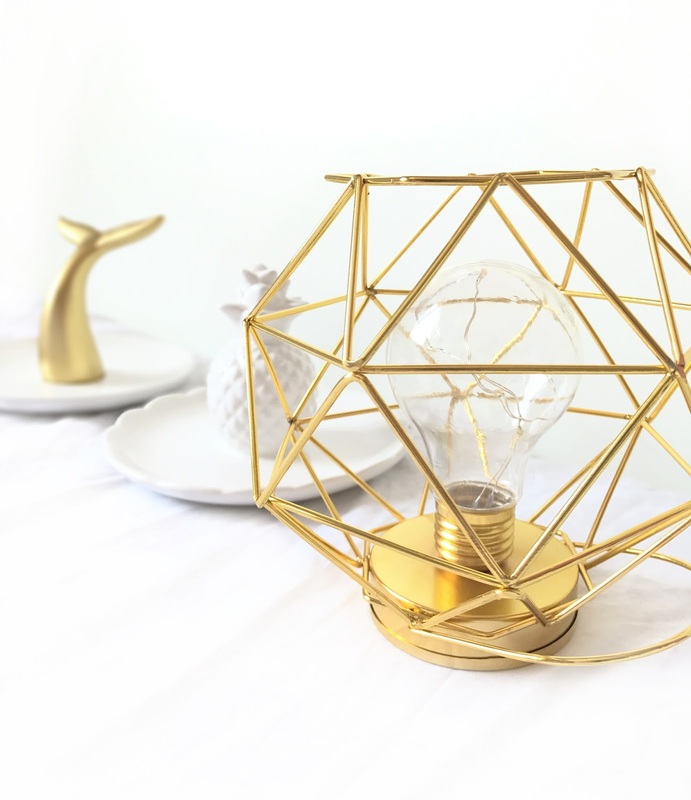 primark are so smashing the homeware at the moment, I love the lamps! So cute! I've been looking everywhere for a small dish, these are perfect! I'm loving Primark's homeware section at the moment. I love the lantern! And those we tricked dishes are gorgeous and a complete bargain! That's a great wee affordable haul! I love Primark's homeware, especially their trinket dishes! I'm currently undergoing a massive clearout so I'll definitely be treating myself when I'm done. And don't worry, £20 is the max I'd spend on homeware haha. Primark has become such a great store for homeware lately, I love their fab selection of fairy lights and unique home ideas and the fact that it is all so affordable. That lantern is lovely! I love primark homeware so much.